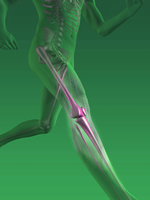 The Running Clinic provides a Standard of Excellence in helping runners improve their biomechanics, performance, injury prevention, rehabilitation, and consultation and education. The Running Clinic is a specialized department within our Physical Therapy clinic devoted specifically for runners. We have experts that offer the following services to our patients and those individuals who choose not to become formal physical therapy patients, but wish to focus on formal running training consultation. Evaluating and treatment of any running problem. Our evaluation is unique in that we look at REAL TIME RUNNING “on the ground”. Typical evaluations performed at other clinics often offer only “treadmill assessments”. Running biomechanics on the treadmill is very different on a moving belt compared to running mechanics on stable ground. For this reason, specificity is needed to examine biomechanical faults in the arena of the recreational or competitive runner. For this reason, our philosophy is to evaluate each client on solid ground.